Did You Know Your Air Fryer turns corn on the cob into something out of this world, roasts veggies to perfection, and makes restaurant worthy Air Fryer Edamame? Once you have an air fryer, you get the itch to try and cook all the things in it. And I can assure you that it’s happened to me too. That’s why I had to see how edamame would do air fried and it was tasty! One of the things I love about my air fryer is that it is so versatile. Sure, it makes the best crispy tofu and soy curls, crunchy blow tie chips, and even French fry Po’ boys. Air Fryer Edamame changes the playing field plus it’s an easy lunch or dinner! If you don’t have an air fryer yet check out my post about different air fryers and their accessories here. If you’re looking for an XL one, I really like my Go Wise and it’s inexpensive. 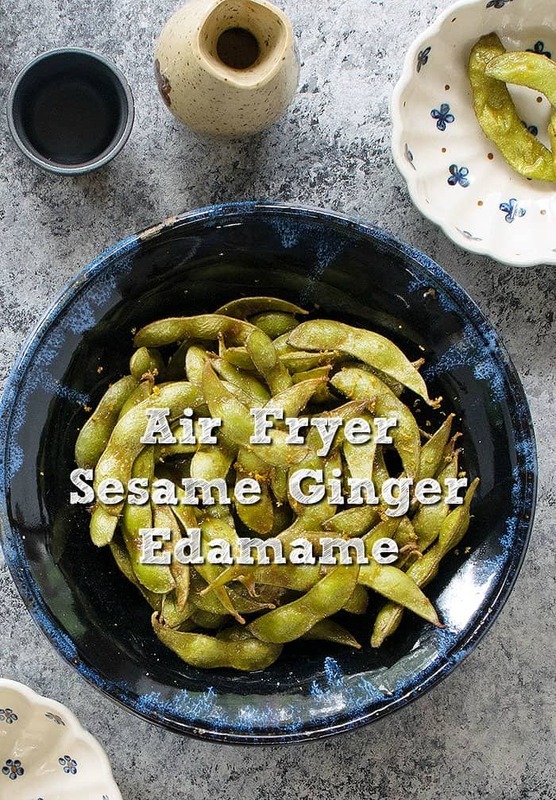 How Can I Make Air Fryer Edamame Soy-Free? 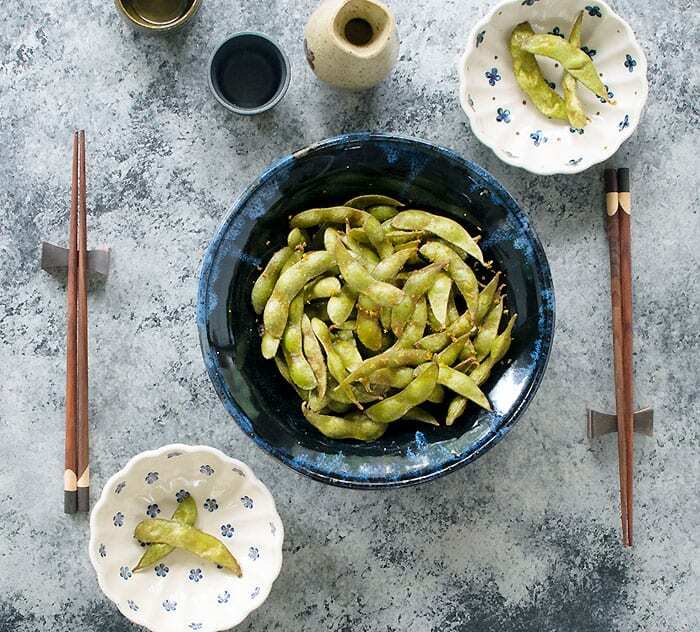 Since edamame is soy, you could make this soy-free by subbing green beans for the edamame. Then use a coconut aminos in place of soy sauce. I recommend spicing them up with a splash of Sriracha or another chili garlic sauce. I always get edamame when we go out and it’s on the menu. I love it, but for the longest time I never made it at home. 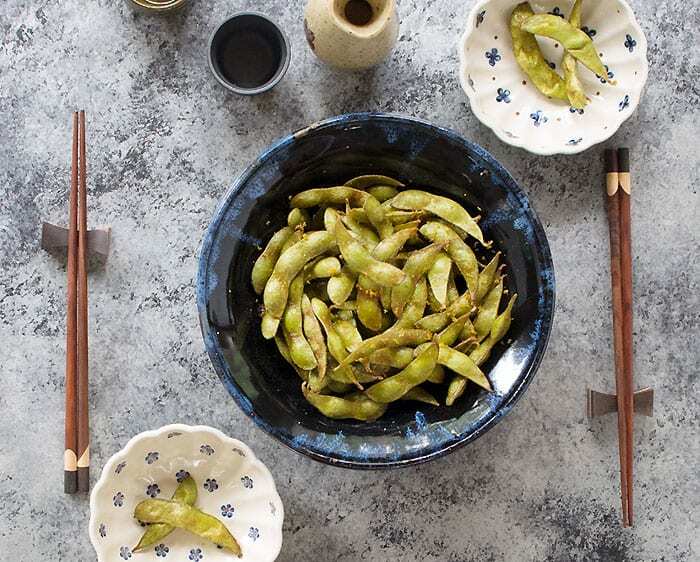 Now I always keep a few bags of whole, unshelled edamame in the freezer for a lazy meal, quick lunch or an easy cocktail snack when friends come over. Toss everything together in a bowl. Transfer the coated edamame to your air fryer basket with a slotted spoon, and save the rest of the sauce for later. Cook on 400°F (205°C) for 5 minutes, then toss and cook 5 more minutes. The beans will begin to brown a little and should be hot. Toss the cooked beans in the extra sauce and serve. Make sure to have empty bowls on the dinner table for the outside tough pods that you discard. In a large air fryer they may be done after 10 minutes, but in a smaller one, if you make the whole batch at once, it may take up to 10 additional minutes. Try using different sauces like soy-garlic, Easy Pineapple Teriyaki Sauce or your favorite sauce if you feel like being a rebel! 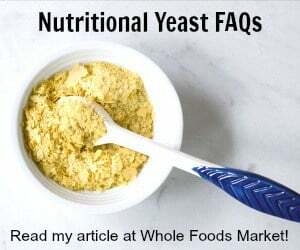 Special Diet Tip: Believe it or not, you can make this soy-free by using coconut aminos and subbing green beans or shishito peppers for the edamame! 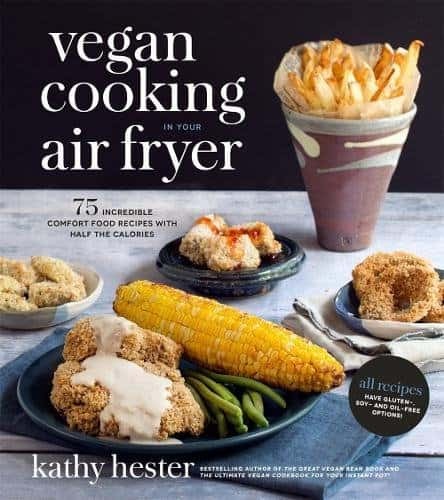 See all the air fry recipes that I have on the blog here, or buy my new cookbook, Vegan Cooking in Your Air Fryer to get even more recipes. Super Easy Tofu Stir-fry Using a Kale Salad Kit! I checked out your air fryer book from the library the other day after seeing it on the shelf. I made this edamame recipe along with one of the tofu stir fries and they were so good! Definitely want to buy the book now so I don’t have to return it! My non-vegan edamame lovers really enjoyed this recipe. You should have seen the piles of empty pods. Definitely will appear on future menu plans.